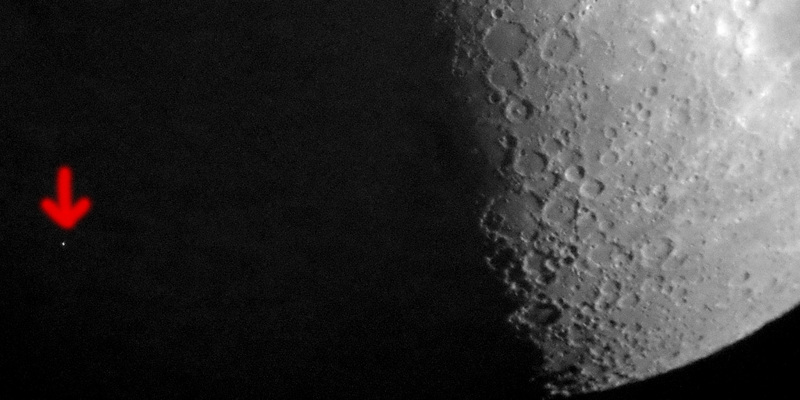 The following photos of the moon covering Aldebaran were taken on February 23, 2018 with the digital cameras Ricoh GR and Leica M (Typ 240). 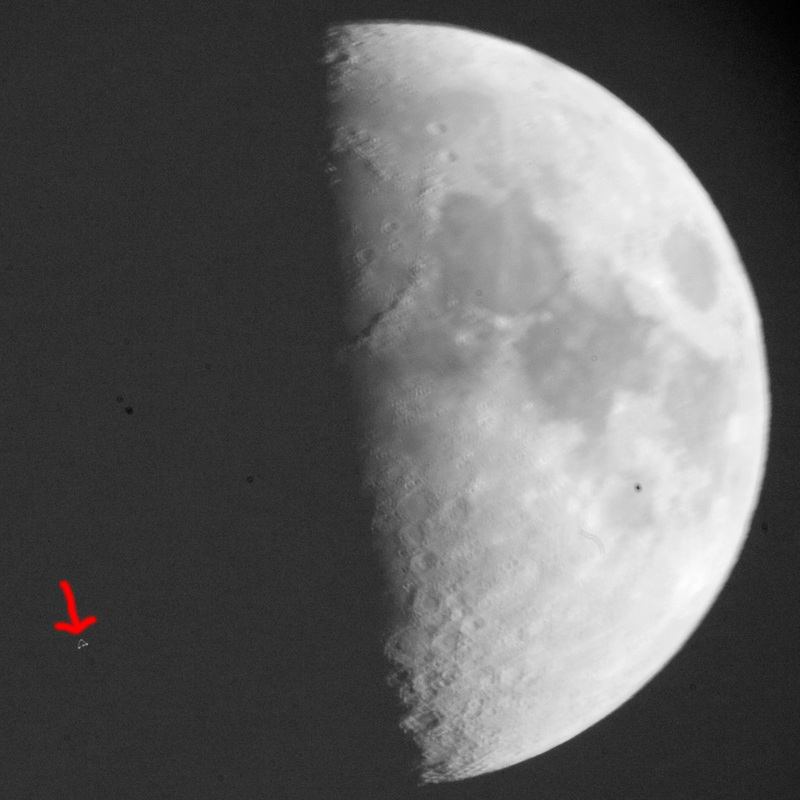 Incidentally, the next Aldebaran covering will not be visible in our latitudes until 2033. 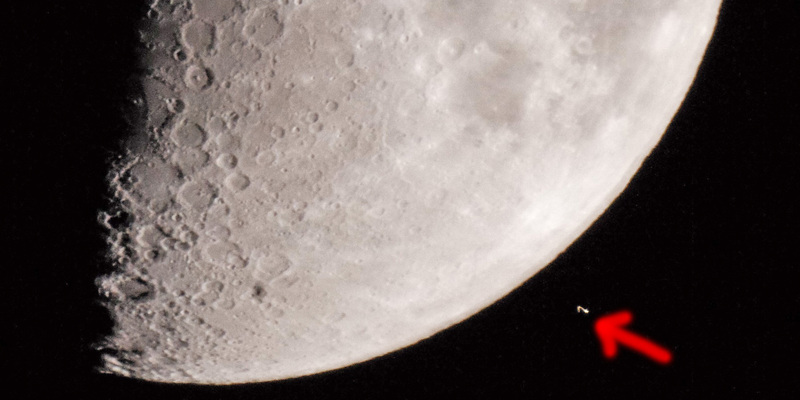 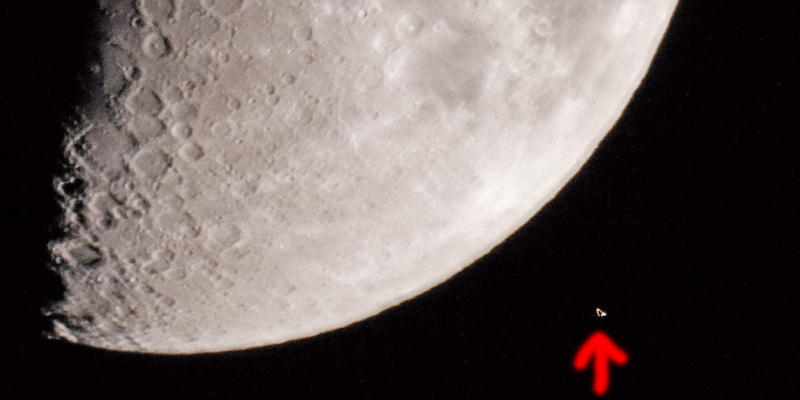 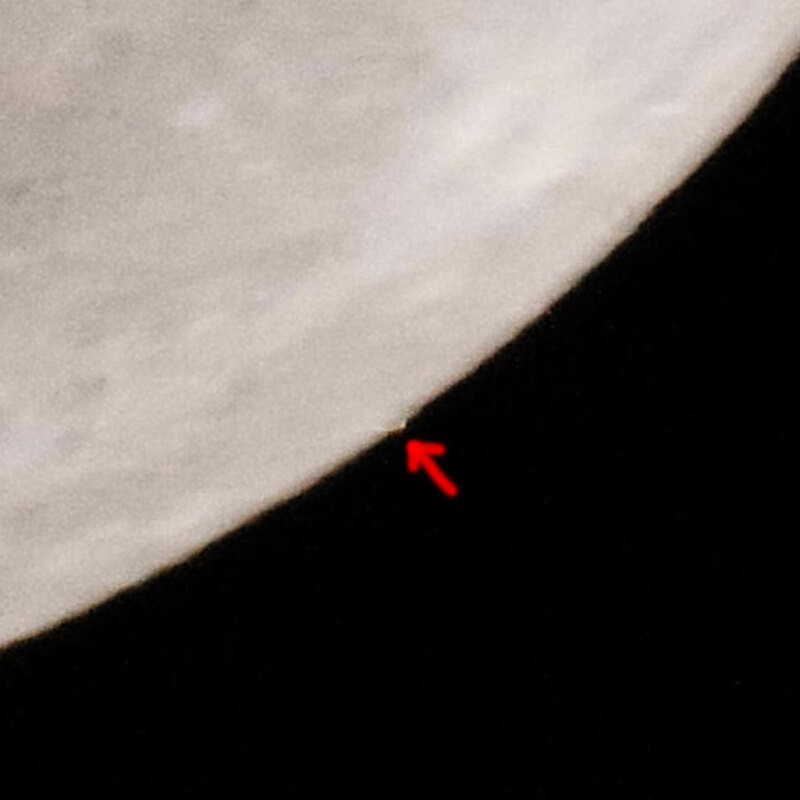 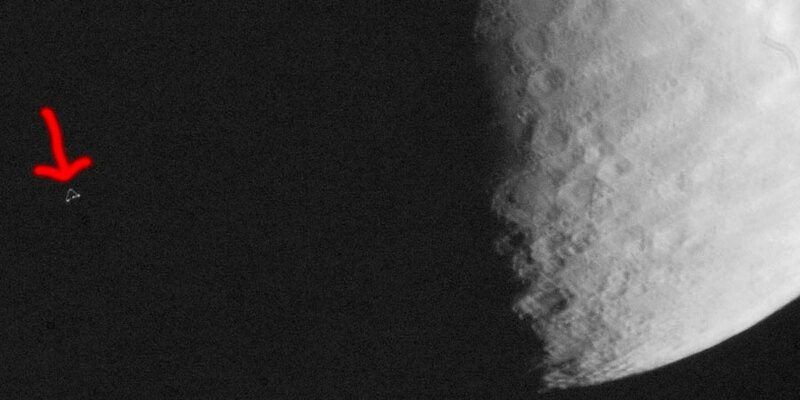 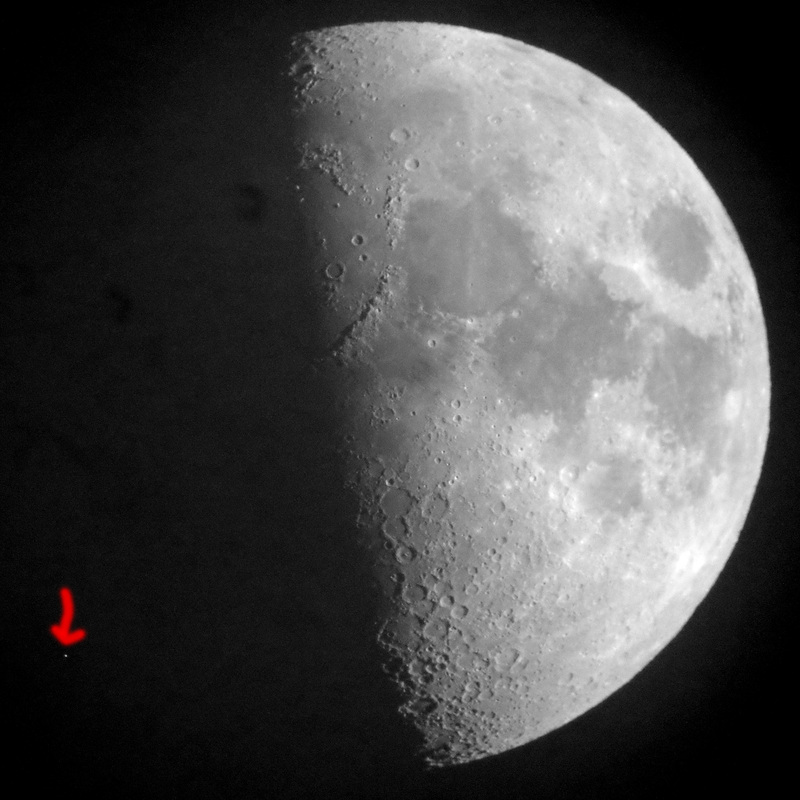 The photos were taken starting at about 17:50 o'clock, when Aldebaran was "swallowed" by the moon on its dark side. 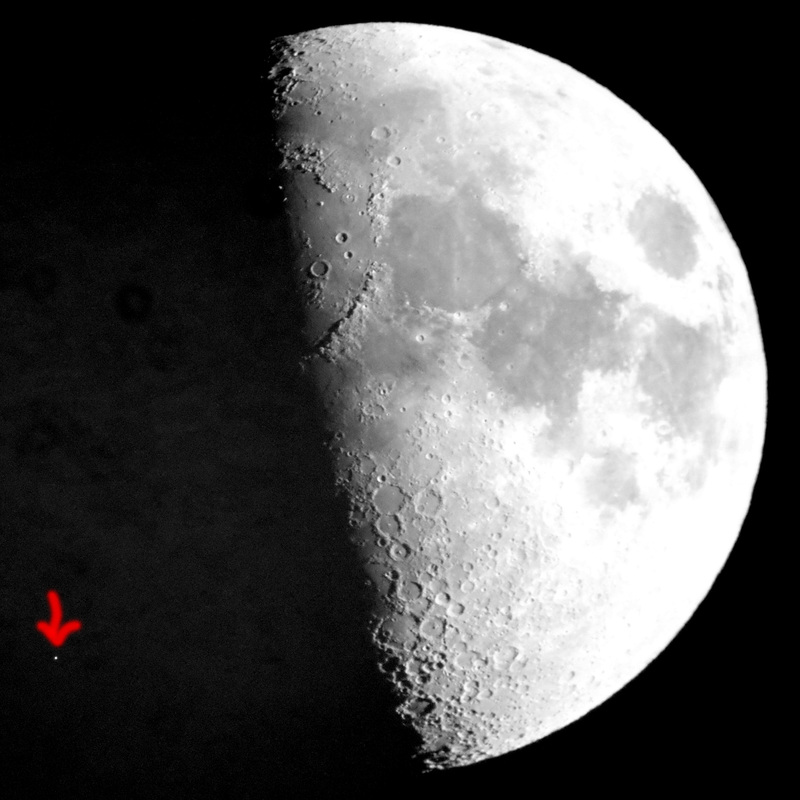 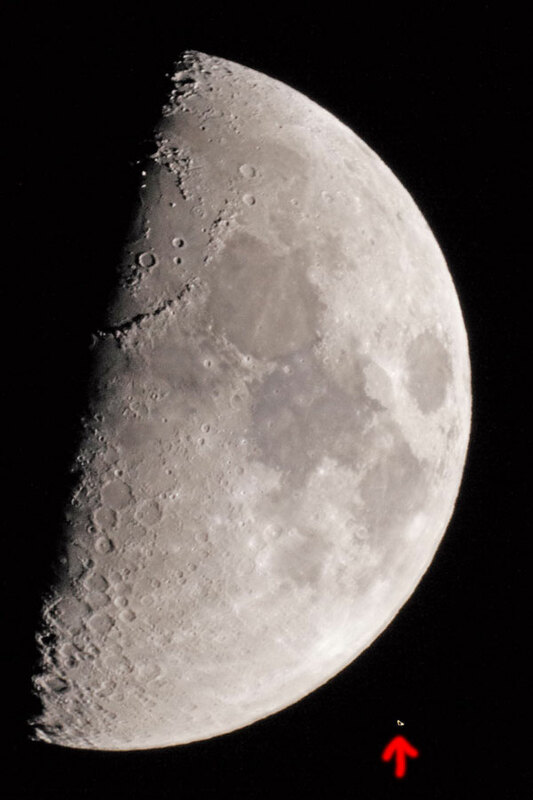 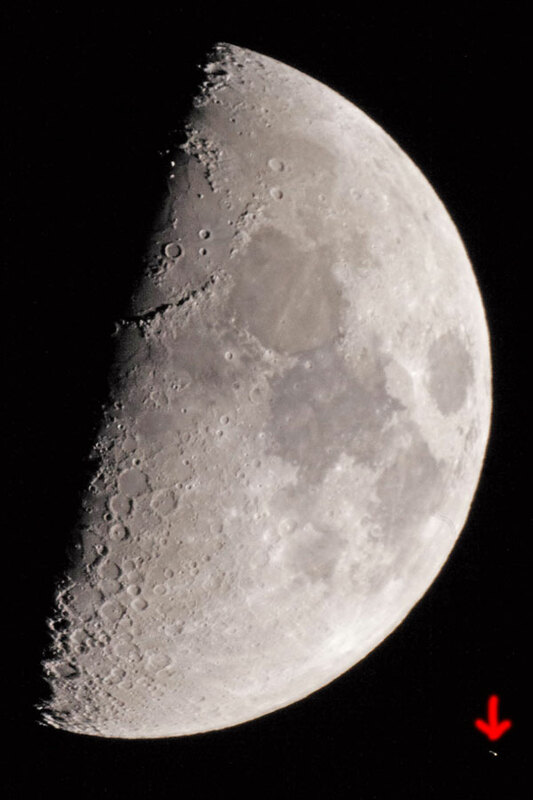 About an hour later, about 18:50 o'clock, Aldebaran reappeared on the bright side of the moon and then moved farther and farther away from it. 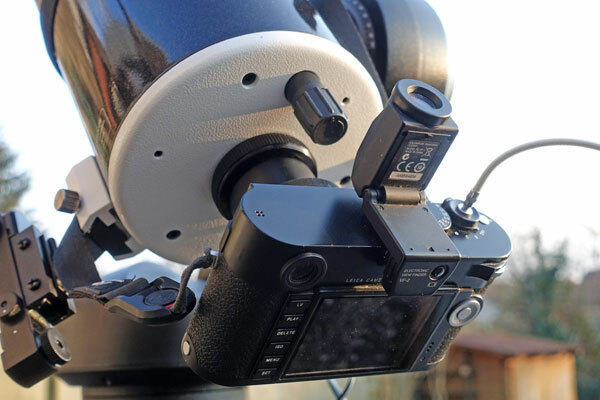 I had mounted the Leica M (Tpy 240) to the Skymax-127 by means of a T-mount adapter. 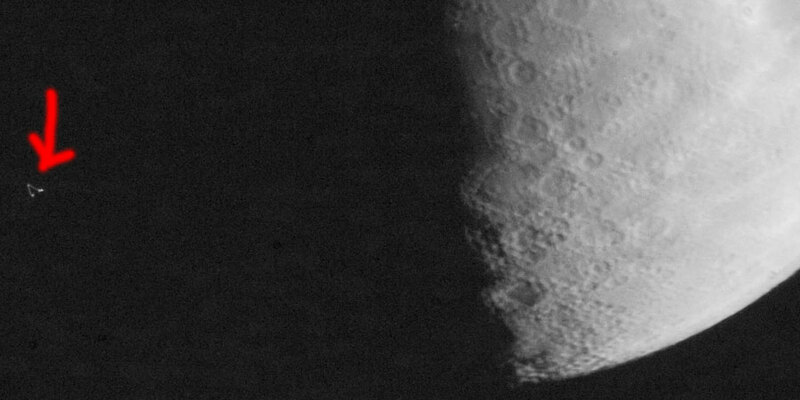 This can be seen in section Equipment and is described in more detail elsewhere. 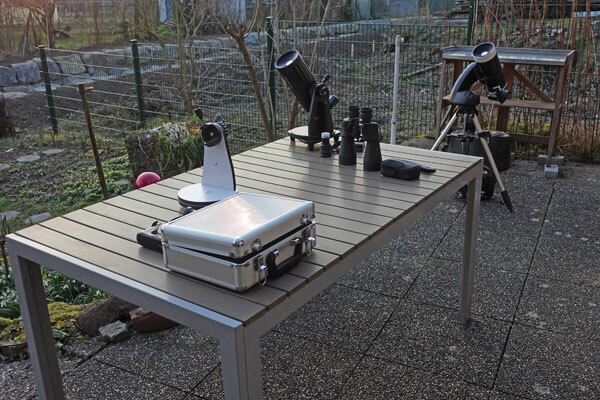 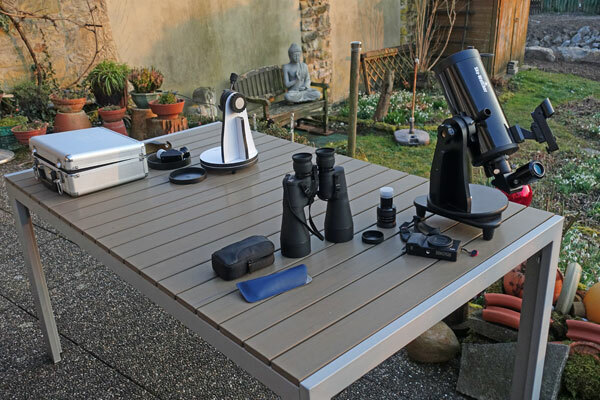 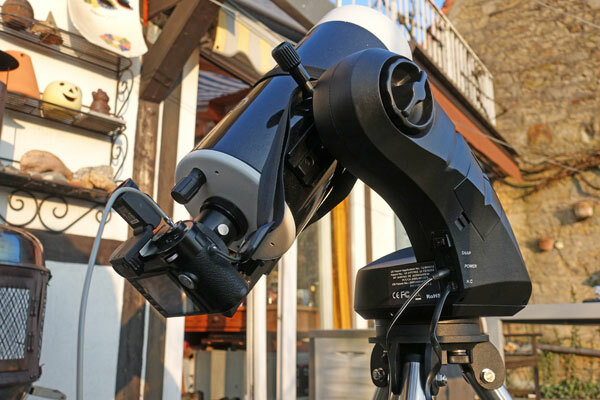 I had also built up the Skymax-102 so that my wife was able to observe the covering in parallel. 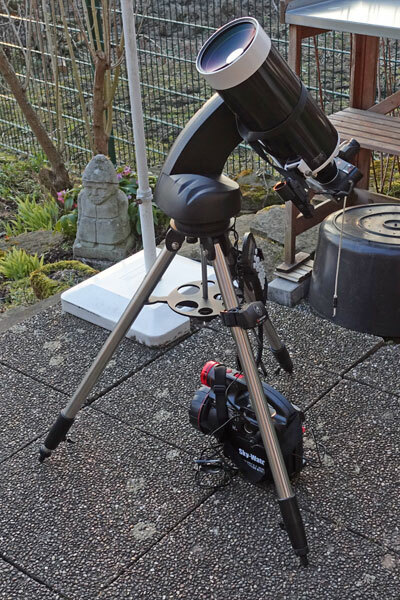 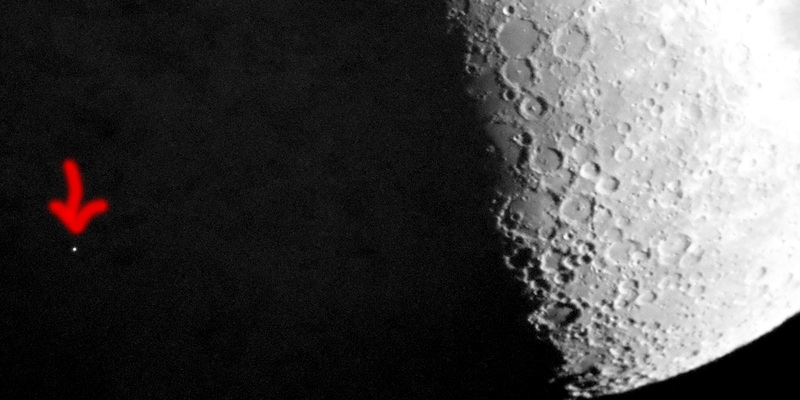 Fortunately, I took some photos with the Ricoh GR on this telescope from time to time, because the results with the Leica M on the Skymax-27 were disappointing. 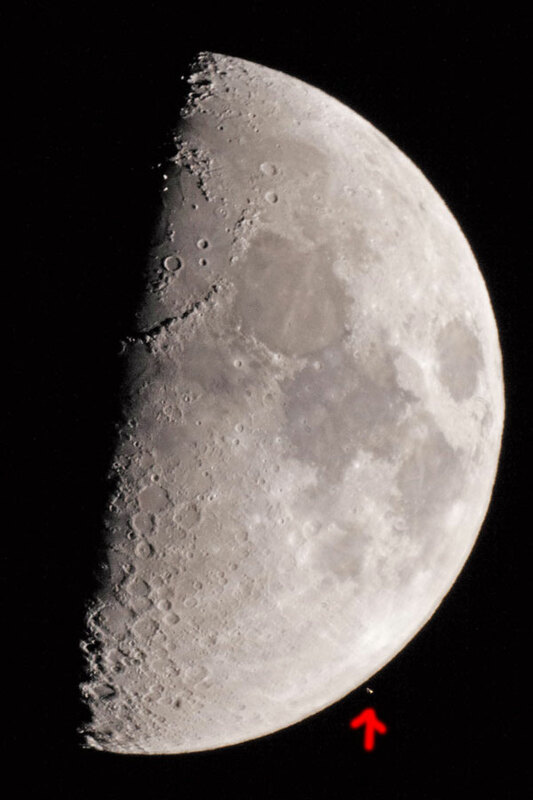 I held the Ricoh GR to the eyepiece of the Skymax-102 using the 1:50 method. 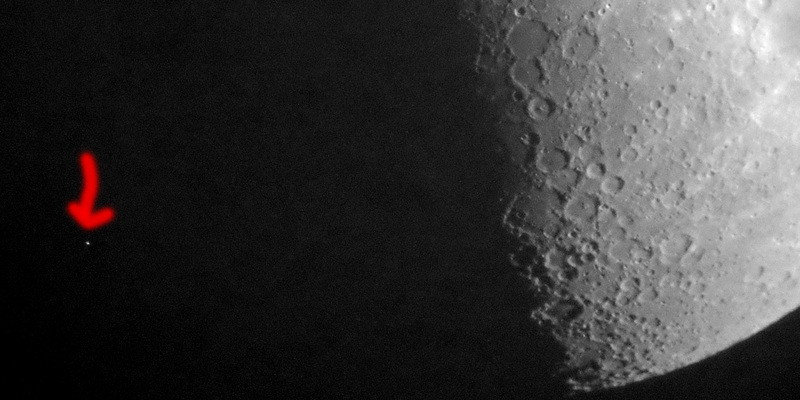 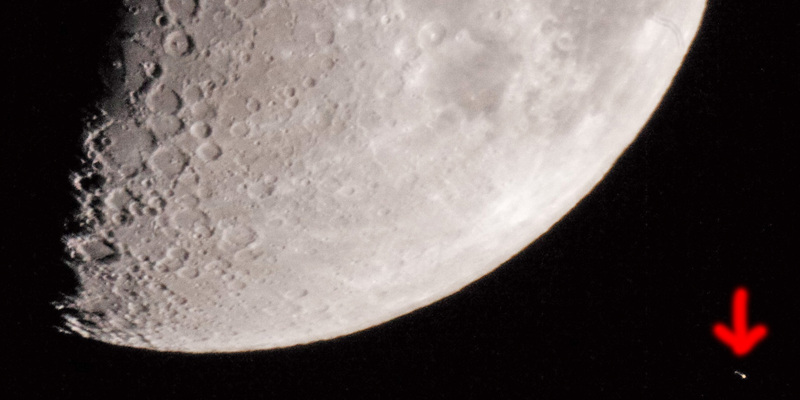 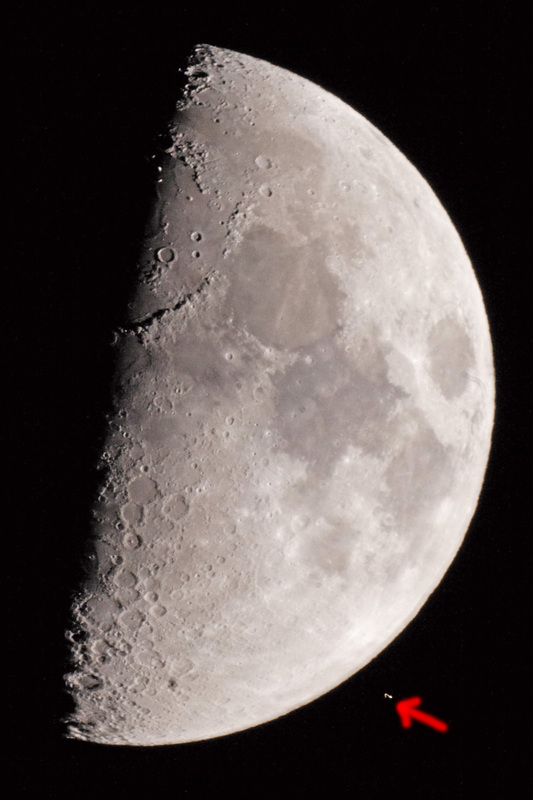 All in all, it was exciting to observe and photograph Aldebaran's covering by the moon and its reappearance. 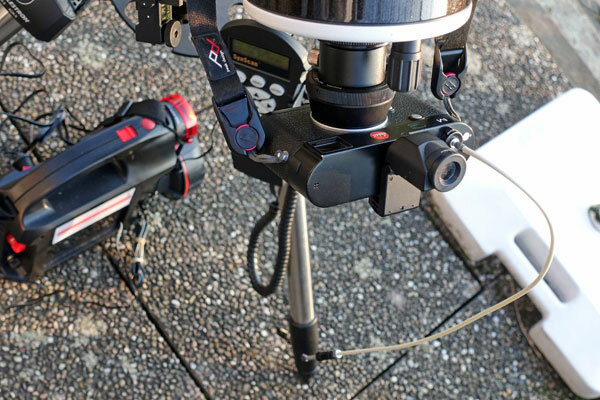 In my case, however, this included a technical test, namely the first use of the Leica M (Typ 240) at the T-Mount connector of my Skymax-127, which unfortunately was not very successful. Fortunately, the Ricoh GR, which I held with my hand to the eyepiece of my Skymax-102, saved the situation so that a few usable shots were made.